The term sacred geometry describes the geometrical laws which create everything in existence. 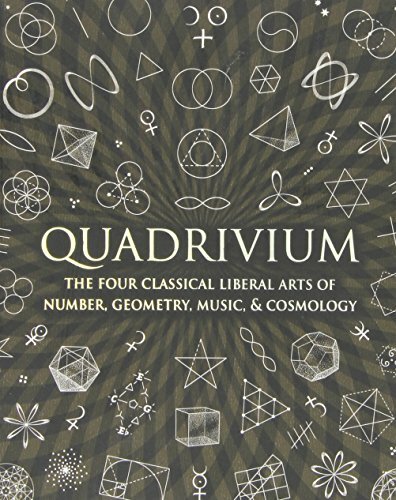 This term has been used by mathematicians, geometricians, spiritual seekers, artists, anthropologists, and archaeologists to encompass the religious, philosophical, and spiritual beliefs that have sprung up around geometry in all the major cultures during the course of human history. The geometrical laws derived from the flower of life produce the blueprint of the one consciousness that created life and existence. We have a unique ability to subconsciously recognize geometric order from transitory chaos. We value highly the harmonic proportions contained in design that are bound by the laws of sacred geometry, which is itself the embodiment of harmonic waves of energy, melody and universal proportion. Primeval Culture, including Hindus, Egyptians, Greeks, Christians, believes that certain geometric patterns or shapes are recurring in nature. For example; a snail’s shell is a spiral, the cells of a honeycomb are hexagons, and the passion flower grows in a logarithmic spiral. These standard forms are now known as sacred geometry. These shapes were broken down by the ancients into numerous mathematical formulas; various numbers and specific symbols that they believed were the foundation for everything in the Universe. While it may be esoteric, a fundamental knowledge of these patterns and shapes in nature can help us see our world in a new light. It is an essential factor when constructing sacred structures such as mosques, temples, megaliths, and monuments. 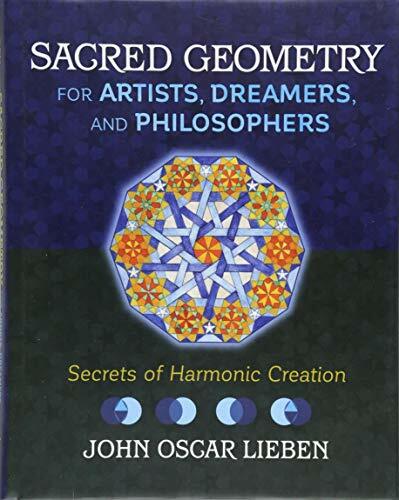 Besides, tabernacles and altars, as well as meeting places such as village greens, holy groves, and sacred wells which are considered sacred all have a kind of sacred geometry in their structures. The creation of religious art, using divine proportions and iconography are all connected to this school of thought. Also, arts based on this type of geometry may be ephemeral such as medicine wheels, sand painting, and visualization. The theory is maintained by modern science. It has been discovered that the little patterns that form the basis of life are indeed the same patterns acknowledged by ancient cultures. Sciencebelieved the knowledge of the mathematical formulas and sacred symbols were instrumental to the most of the construction in early civilizations such as the Greek Parthenon, the great pyramids of Egypt, and the intricate temples discovered all over Central and South America. Sacred geometry considers particular geometric shapes and some geometric proportions as holy or sacred. It attributes figurative meanings to these shapes and forms, and it is connectedwith the belief that God is the geometer of the world. Forms and shapes that have been utilized traditionally in architecture, arts, and meditation since the ancient period are referred to as sacred geometry. Similar forms and shapes can also be found in natural organisms. It can also be seen as a worldview of pattern recognition, an intricate system of religious characters and configuration which includes time, space and form. There are designs, patterns, and structures from the tiniest element, to the manifestation of life visible to the human eyes, to the unseen. The essential models of life are regarded as sacred. According to this principle, the basic patterns of existence are regarded as sacred. By connecting with these, a believer reflects on the Great Design and the Great mysteries. Moreover, by studying these relationships, forms, and their connections, one will gain insight into the secrets of the Universe, as well as its laws and lore. We find patterns, designs, and structures in nature. These forms, without doubt, are of geometrical representation, which makes known to us the quality of each kind and its vibrancy. These patterns are also a symbol and mean that the part cannot be separated from the whole. This underlying metaphysical principle of oneness is infused into the design of all forms in its infinite diversity. This belief in inseparability, interconnectivity, and harmony is a constant reminder of our link to the whole. We are not just an individual; we are part of a higher concept in the scheme of things. Hence, sacred geometry is like an outline for the mind to the holy foundation of all things. Universal patterns found in the design of everything in our reality have their origin in from these sacred patterns. It can be found in sacred art and architecture. There is a fundamental conviction that geometry and mathematical ratios, proportions, and harmonics are present in light, music, and cosmology. This value system is perceived as prevalent since the beginning of time, a social connectivity of everything in the universe. There are many symbols that we can find in the geometry of nature. Here is the list of the most important shapes and meanings. Each shape is a pattern in nature. The circle is regarded as one of the most critical shapes of geometry in nature. It is considered a symbol of unity, and wholeness of the Universe. Besides, the ratio of the circumference of the circle in contrast to its diameter is known as Pi, which is a never-ending number; neither does it repeats itself. The sphere is referred to as a container that can hold all forms. It is a symbol of inclusion, oneness, and integrity as all measurements are the same in a sphere. Seeds, planets, atoms, cells are all spheres. The round sides of toroids are perfectly circular like a donut or an inner tube. The torus is regarded as the primary shape of all existence by geometry of the sacred. For instance, the seven muscles in the heart are in the form of a torus. Every measurement either begin or end at a point. Even the center of a circle or sphere contains a point. For this reason, there is a belief that the point is connected with the beginning and end of any type of creation. The word ‘vesica piscis’ has its origin in Latin and means “the bladder of a fish.”It is formed at the intersection of two circles of the same size, at the point where their centers connect. The Vesica Piscis is almond shaped. The circles can be used to represent the fusion of sperm and egg, which leads to creation. The intersection can also symbolize a shared vision between two people. In Christendom, it represents Christ. There is various type of spirals, such as equiangular, flat, and logarithmic. However, the most popular is probably the shape of a nautilus shell. All kinds of spirals represent growth and expansion and can be regarded as endless. 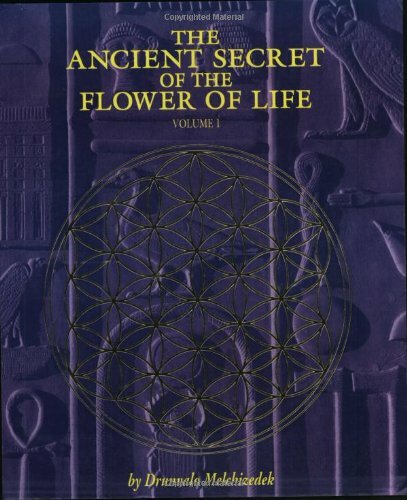 The flower of life has been used as a symbol for ages all over worldwide. It is a geometric flower. It forms a flower-like pattern, with various evenly-spaced circles overlapping each other. It is believed to portray the original patterns and forms of time and space. The seed of life is another sacred pattern of the nature. 3-dimensional shapes with equal sized faces are regarded as the platonic solids. An example is the pyramid shape which has four identical faces. There are five platonic solids namely:tetrahedron (4 faces in a pyramid shape), Hexahedron (6 faces in a cube), Octahedron (8 faces), Dodecahedron (12 faces), and Icosahedron (20 faces). These shapes were identified in Greek times and by Plato, and that was the origin of their names. The ancient Greeks use these five shapes to represent earth, fire, air, water, and spirit. Metratron’s cube contains all the five platonic shapes which were considered to be the building blocks of creation. 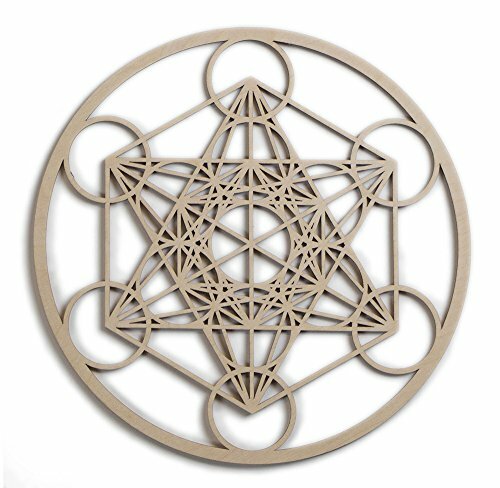 Metatron has been regarded as sacred for millions of years. It derived its name from Metraton, the angel who guards God’s throne in Judaism. Sacred geometry jewelry is the use of sacred, spiritual and nature powers of these shapes. We can find pendants, necklaces, earrings and collars representing geometric art. You can see here the most important jewelry, handmade with special properties. 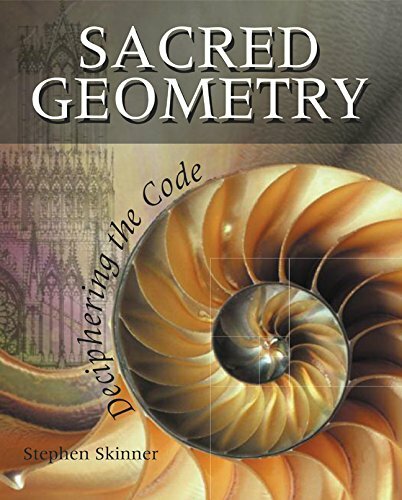 Below you can find a list of the best books on sacred geometry. You can use the search button to find a specific geometry book. The sacred geometry was usually used in ancient civilizations in the design of architecture and art. It can be found in the simple spirals as well as intricate designs. Even in modern engineering, it is still used in the planning and construction of many structures, especially in religious monuments and in the creation of religious art.